Furiends I’m so happy to present my new cousin Blossom in this week’s Film on Friday! I’m also very grateful for my Christmas presents! Sharkie and Blue got a new lobster furiend! I’ve not decided on his name yet, we’ll have a chat about it when he gets to the boat. I was pleased my humans got a very appropriate calendar. I was also very lucky to receive a Santa toy and HALF of my mouse gift – Cassidy stole the other half! Thank you Cornish cousins! I hope you all have a PAWESOME weekend! thanks for sharing the video of Blossom. She is a cutie indeed but you are the handsomest of course. You got lots of fun presents, enjoy. what about Rhett for your new lobster friend? You have an adorable new cousin, Bailey. I agree with Gina, above! Have a good weekend, Bailey! Blossom is very sweet! And we love your new lobster friend. Bailey we are so glad that your new cousin is such a bundle of joy!!!! 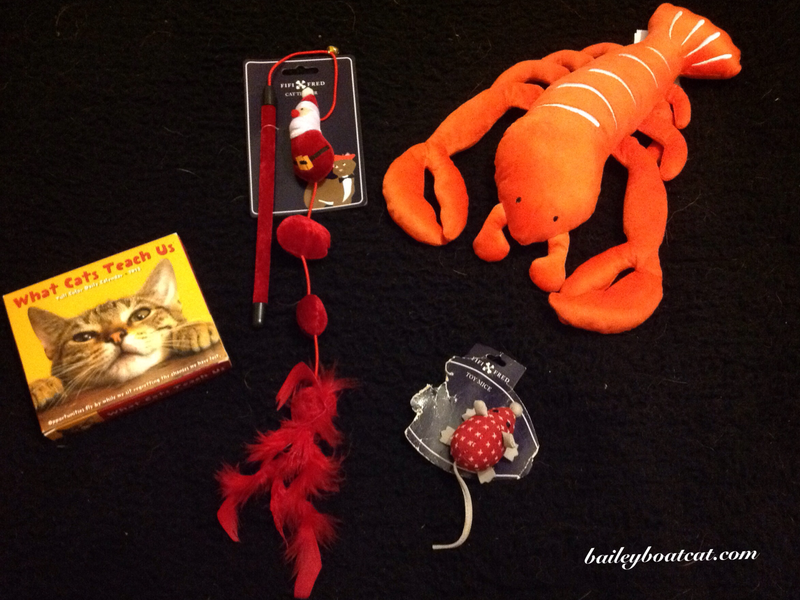 Hope you enjoy your Christmas gifts and new lobster friend! Typist still can’t get over Blossoms ears!